I came across this story last week about Vancouver author John Izzo. A popular author, business speaker, and consultant, Izzo had a successful career writing and teaching about how to live and work better. So where did he go to rediscover himself? The Camino, of course. Something as simple as walking to work makes you happier. Committing to walking outside, in nature, has a host of physical benefits. Walking specifically in nature, away from cities and traffic, has measurable effects on mental health. 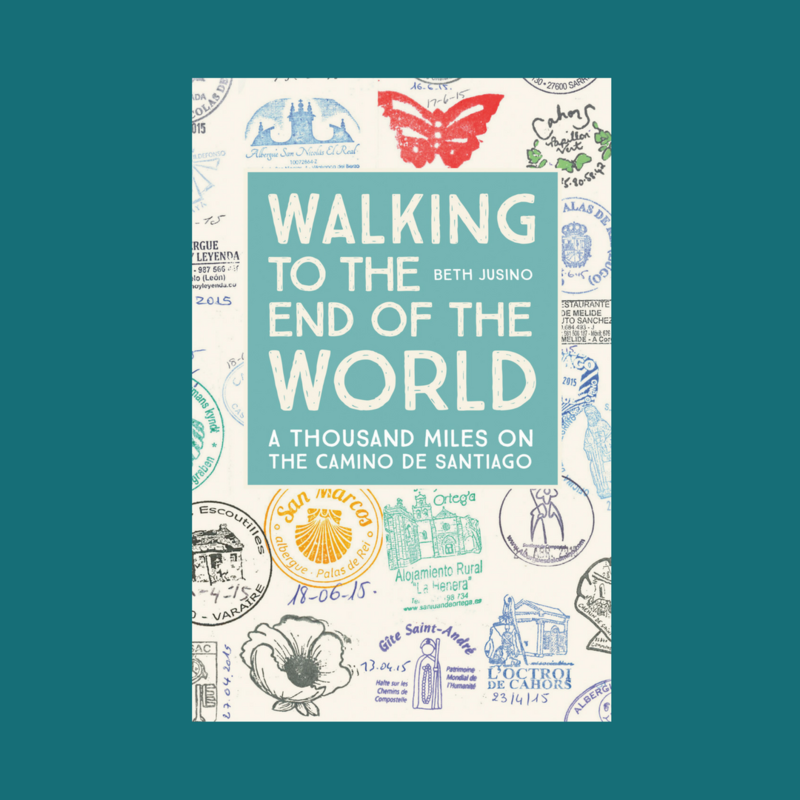 Something like the Camino de Santiago takes walking to an extreme, and blends it with the spiritual practice of pilgrimage. Is it any surprise, then, that walking the Camino de Santiago is often life changing? 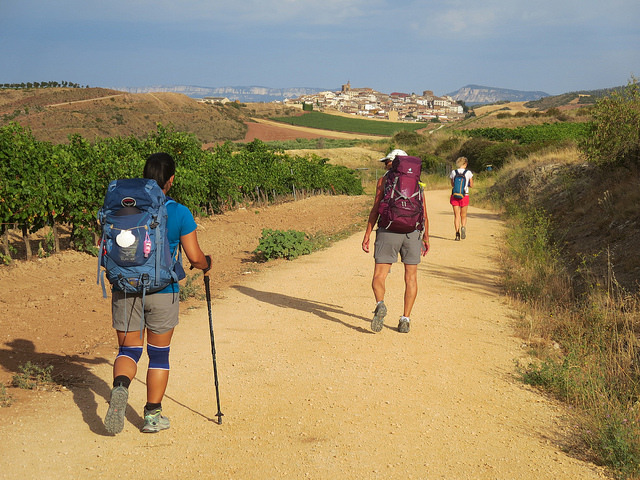 A long, intentional walk like The Camino is a chance to stretch both muscle and mind. It’s a place to think, to grieve, to pray, to rest, and to build a lot more of those nerve endings in the brain. Of course, the opposite is also true. NOT walking is NOT good for your mental health. Trust me on this one. Last week my physical therapist once again grounded me from walking any distance. My feet and their plantar fascitis/tendonitis/heel spurs still aren’t healing. I’ve spent more time off my feet in the past year than I have being upright. And I have both the expanding waistline and the general sense of “blah” to prove it. This is not my actual x-ray, but I do have a similar-looking pointy thing on my heel. “It’s not optional,” I told the PT. He agreed not to try to talk me out of it. Because like Izzo, my life can’t all be about writing books and teaching classes. Except this week, my life is still writing books and teaching classes. So will you all do me a favor and go outside and walk somewhere this week? Breathe the outside air, find a pace that your body likes, and just go. Oh no! So sorry to hear you were grounded again! No fun! Thank you for the pro-walking post. A great meditation on walking from a good friend of mine. My husband and I took our own short getaway this past weekend, and other than sit around reading books and drinking tea, we walked. We walked on quiet country roads, we walked along the tops of dykes, we walked a small portion of a small mountain. We felt the different breezes blowing in our faces. We smelled the salty marshes of the flats where the ocean meets the farmlands the sea air blowing in off the Sound, and the cedars and firs on the mountain awakening from winter. We heard and saw various raptors, song birds, and water fowl co-mingling. And in just those few short miles we accumulated over the weekend, we felt more refreshed than we had in awhile. Even just a short walk in nature can do wonders. Already signed up for a route this weekend 🙂 Hope you’re on your feet soon!